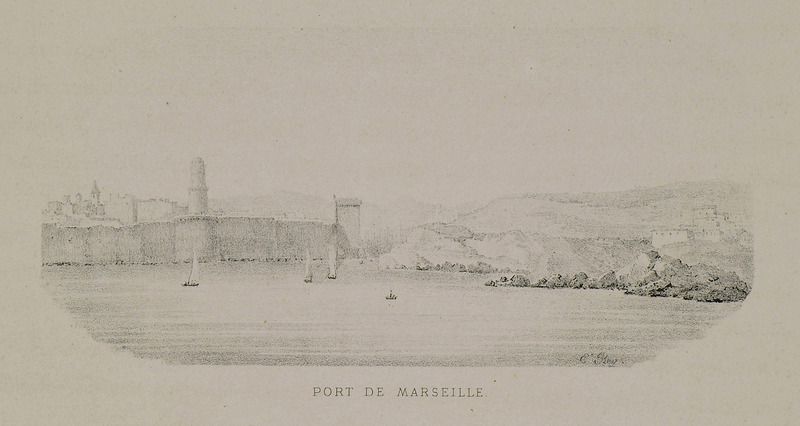 View of the port of Marseille. 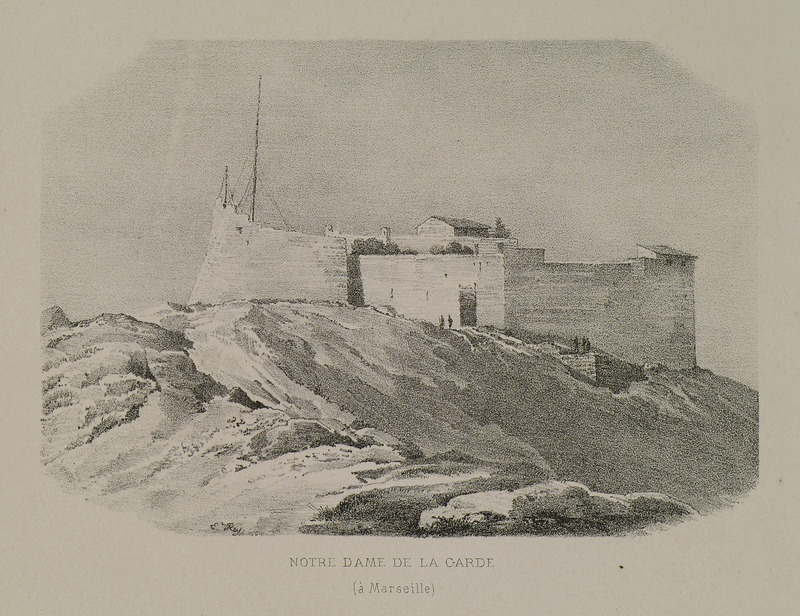 The church Notre Dame de la Garde in Marseille, before its reconstruction in 1864. 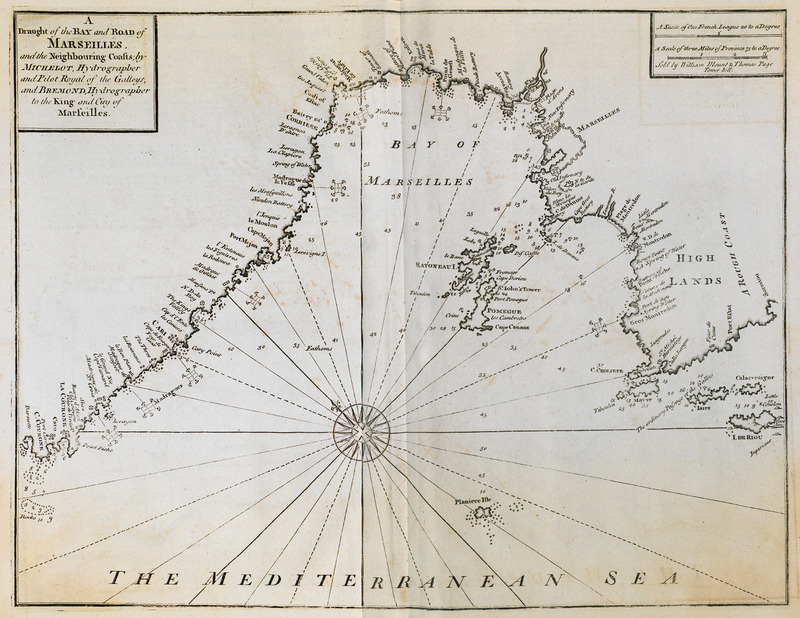 Nautical chart of the bay of Marseilles.